Gears are critical components in a variety of mining equipment, such as girth gears, pinions, bull gears, and sugar mill drive trains. For safety and life-cycle considerations each gear must be closely monitored for surface-breaking cracks caused by stress during operation. Techniques such as dye-penetrant testing (PT) and magnetic particle testing (MT) are the conventional inspection methods on gears, making them expensive and time consuming. By design, eddy current array (ECA) is more sensitive to small surface defects than magnetic particle testing (MT), penetrant testing (PT), and ultrasonic testing (UT)because of the way eddy currents propagate inside conductive materials, such as those in gears. PT, MT, and UT also require extensive pre-inspection (surfaces must be free of lubricant) and post-inspection (lubricant must be reapplied at the end of the inspection) processing. 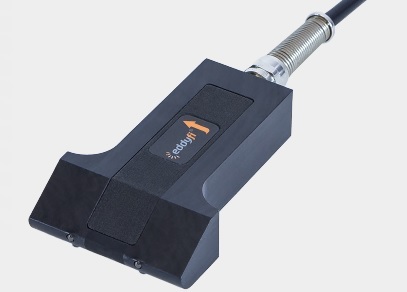 Multiplexing an array of eddy current testing (ECT) coils allows scanning wider surfaces faster than other techniques or pencil ECT probes could, enabling scanning gear tooth flanks in a single pass. ECA gives the acquisition and analysis software the ability to display inspection data from gears in the form of 2D and 3D C-scans. 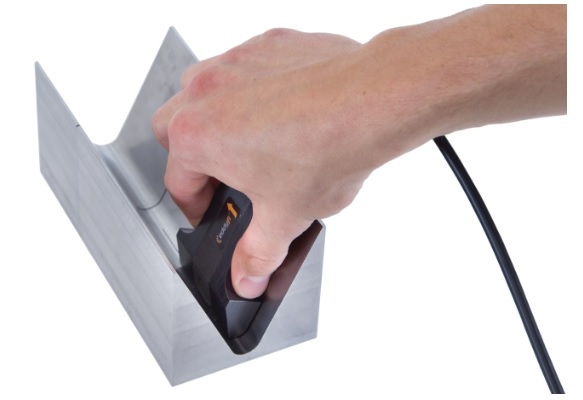 C-scans obtained with ECA technology are much simpler to analyze and much more accurate than other display methods. These scans can easily be recorded and reported on, which are also great advantages over other inspection technologies. ECA complies the ASNT E2905 Standard Practice for Examination of Mill and Kiln Girth Gear Teeth—Electromagnetic Methods for inspecting gears, ensuring quality results. Tooth profile shapes and sizes in gears vary greatly and require profiled probes that can minimize liftoff, which increases probe sensitivity. ECA probes for gears are ingeniously equipped with silicon-nitride ceramic balls to minimize wear. The probe’s shape also makes handling easier, even with gloves.